After a 3 week break I went back to the London office today. 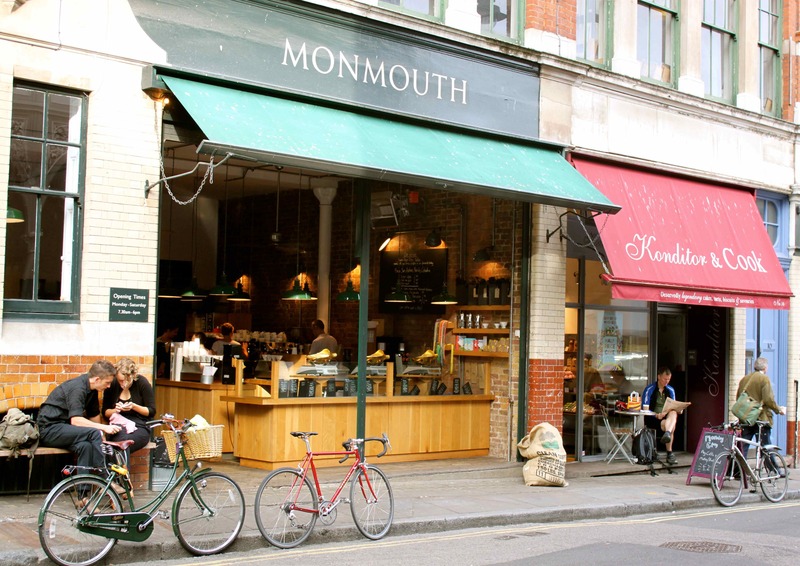 To celebrate, I started the day with a Monmouth flat white. 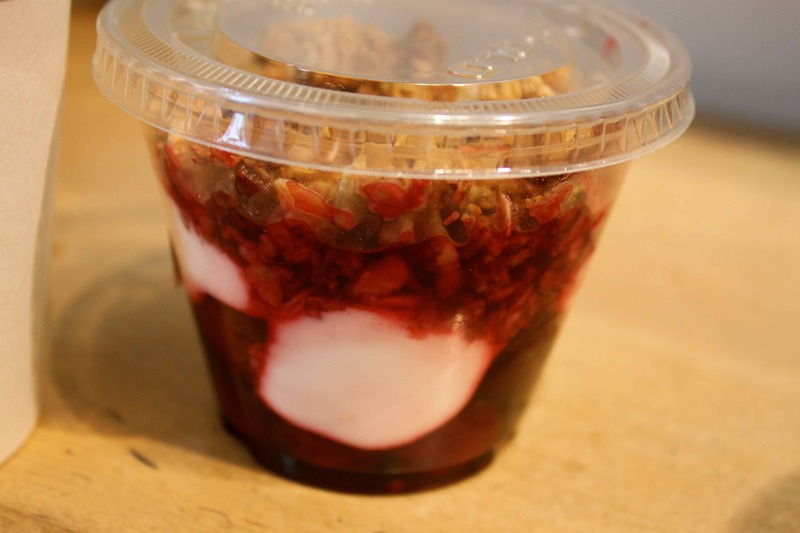 And then popped next door for some breakfast – a sour cherry granola. I love cherries and I really like that slightly artificial cherry flavour too. This was yummy but I suspect it had too much sugar in it. It was very small so not a complete disaster and it kept me going until lunch time at 2pm. It really was small. 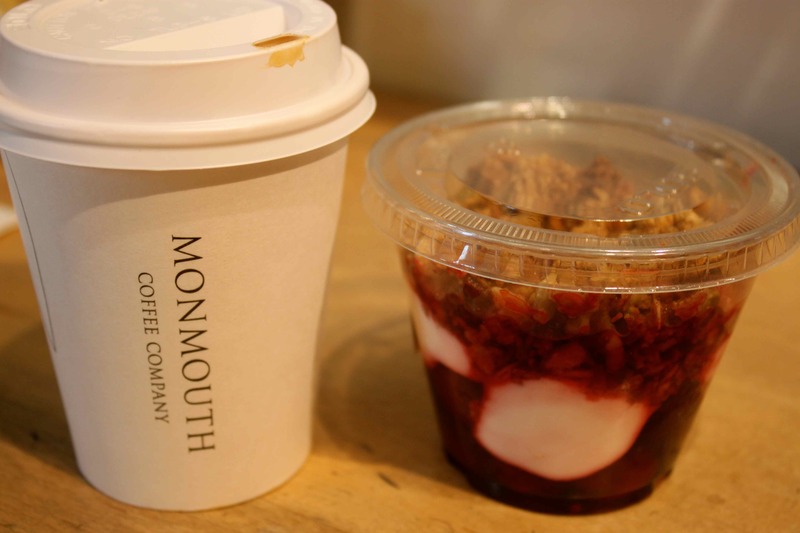 Monmouth only do coffees in one size and they are smaller than any other coffee shop. I had a late lunch today of a chicken soup and a ham sandwich from Pret. No time for a photo – yes, I am back in London. Back to rushed and late lunches. It was even better to get home tonight though. Back to my lovely family and my gorgeous daughter who had cooked a wonderful dinner. 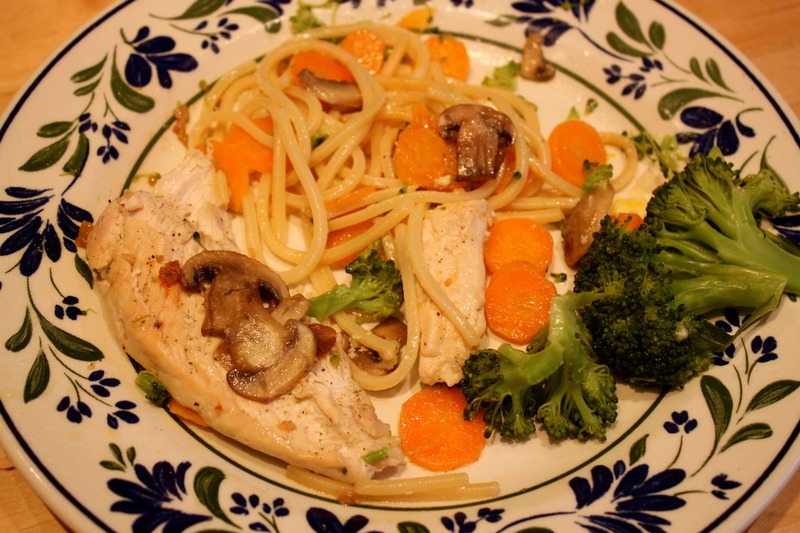 Chicken with steamed veg and a small amount of spaghetti. It was all very garlicky so I will stink tomorrow. This was our first dinner with my home grown garlic :-). It was really good. So much better than Supermarket garlic. 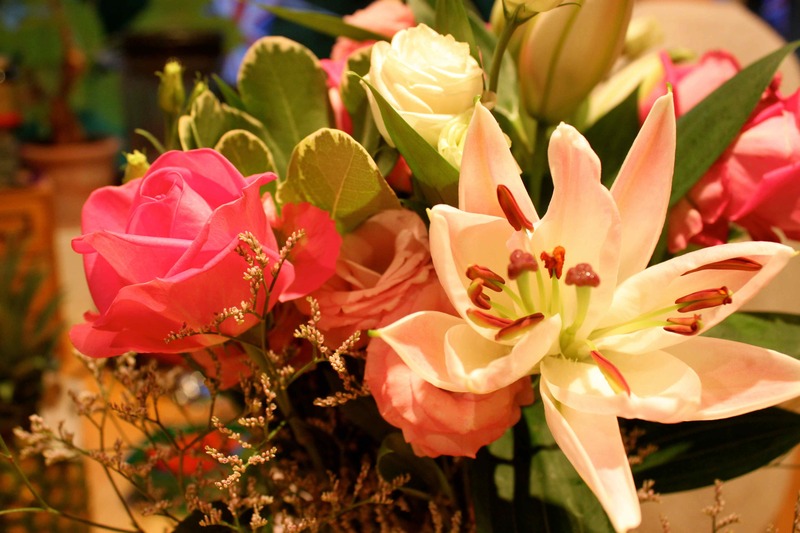 Another smelly addition to my house are these beautiful flowers. I was sent them from work as a thank you for working so hard. 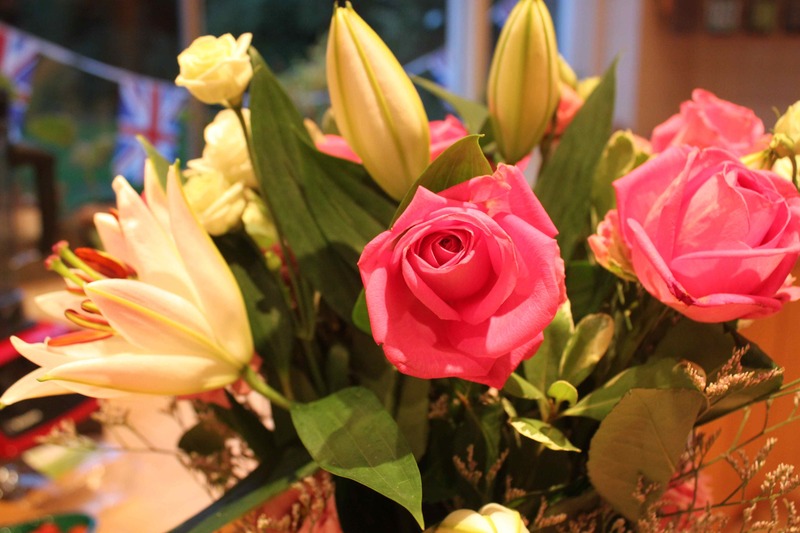 I really like roses and lilies so I was very chuffed. So now the Olympics has finished in London, what am I supposed to do in the evening? I seem to have forgotten ! This entry was posted in Uncategorized and tagged Cherries, Garlic. Bookmark the permalink.